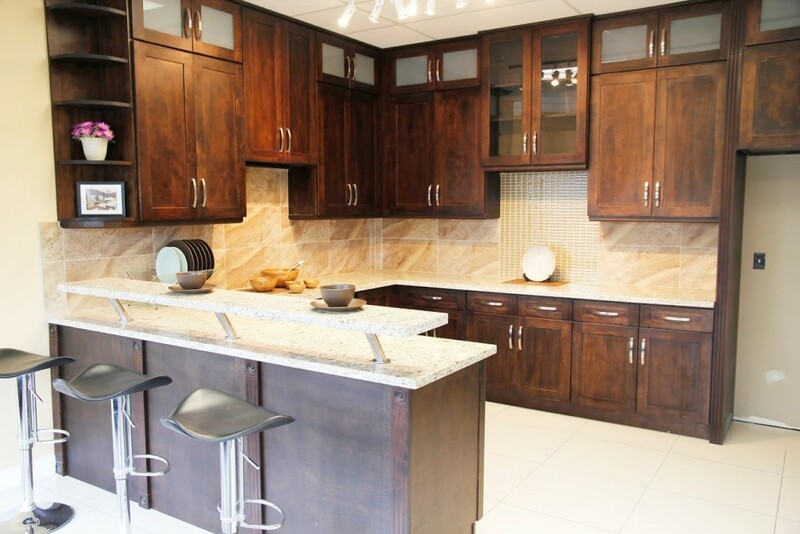 Visit our Showroom in Montreal and see all Kitchen Cabinets Models available. 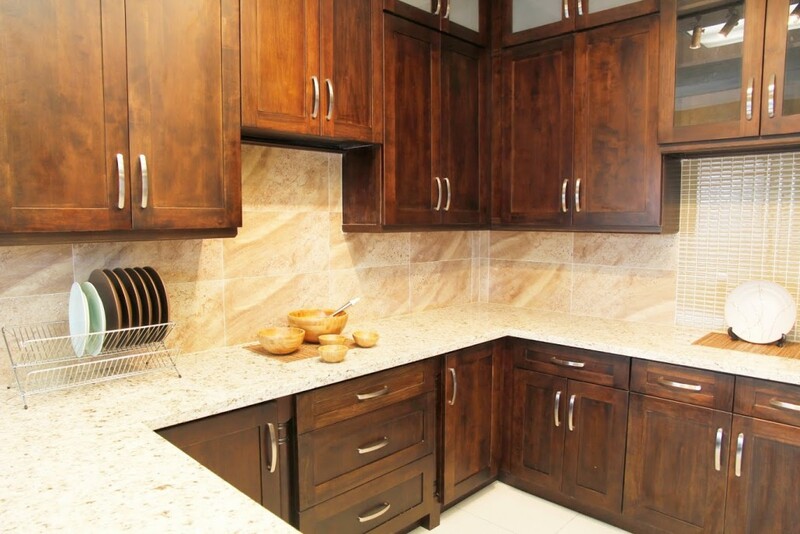 The natural beauty of wood lies in its grain, pattern and color, which are in fact its finest assets. 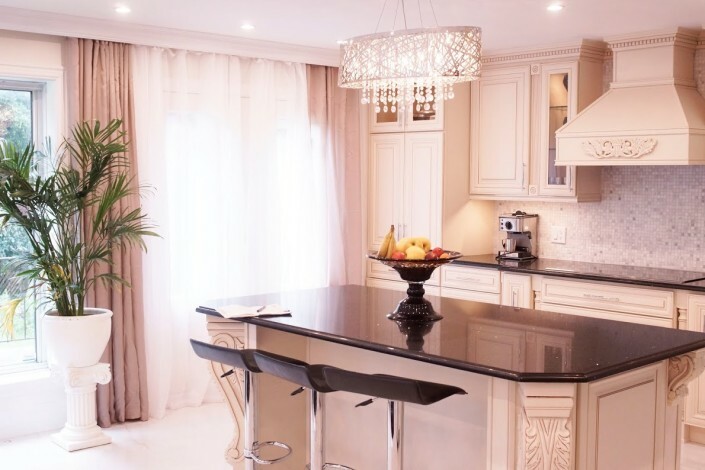 Every tree is unique and is affected by its environment, changes in temperature, the whims of Mother Nature and the type of soil in which it grows. That’s why no two pieces of wood will ever be identical and why the grade classification step is so important. 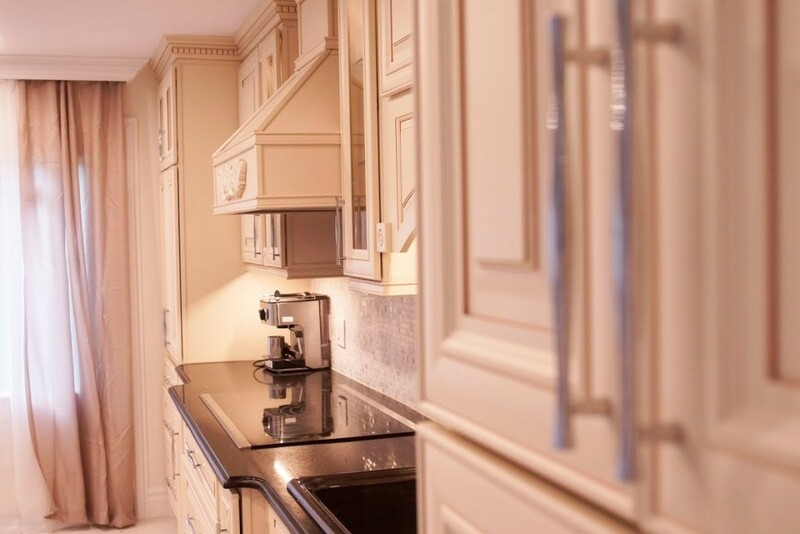 Of course, we love the irregularities and variations but we also want your kitchen cabinets to be as homogeneous as possible. 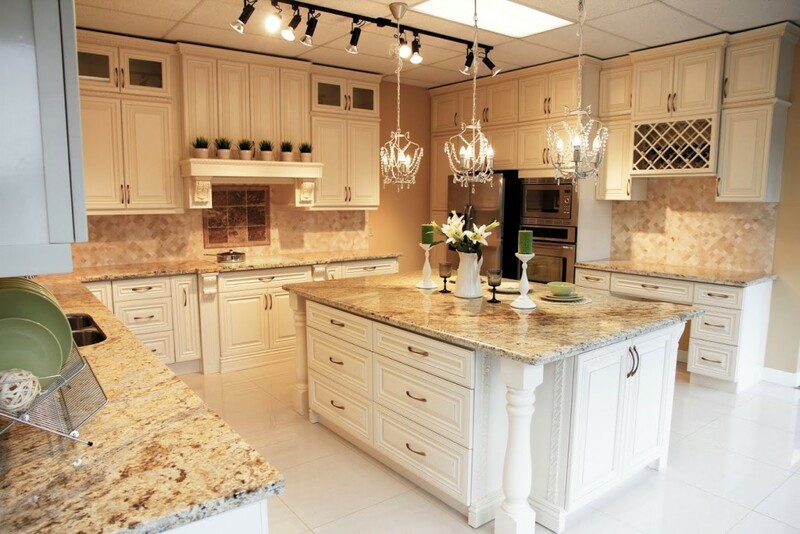 Classic kitchens are timeless and flexible. This style comes in neutral color palettes and offers simple, unfussy details. 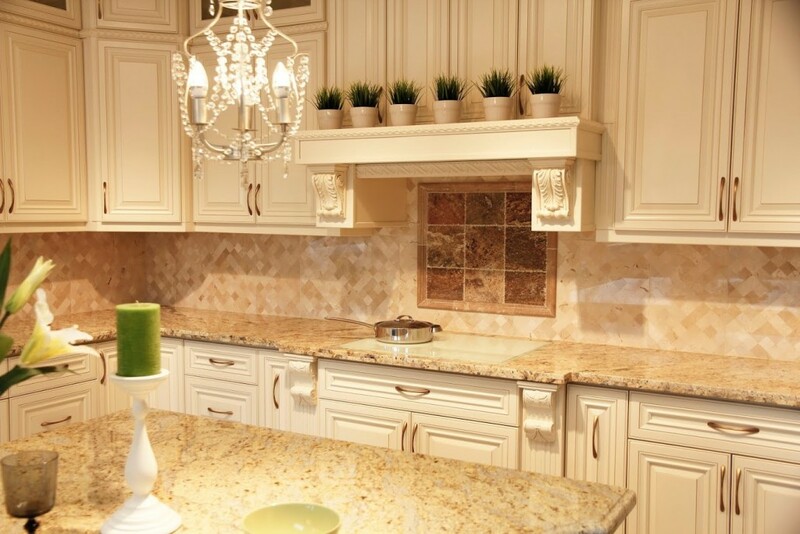 It is a style that almost everyone feels comfortable in and a style defined by white kitchens. 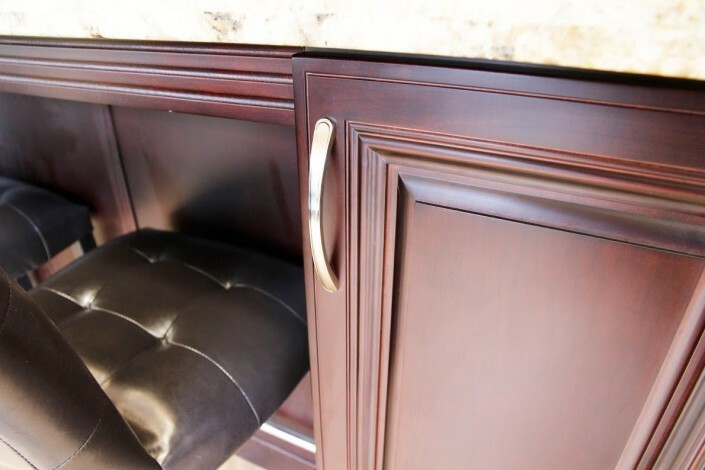 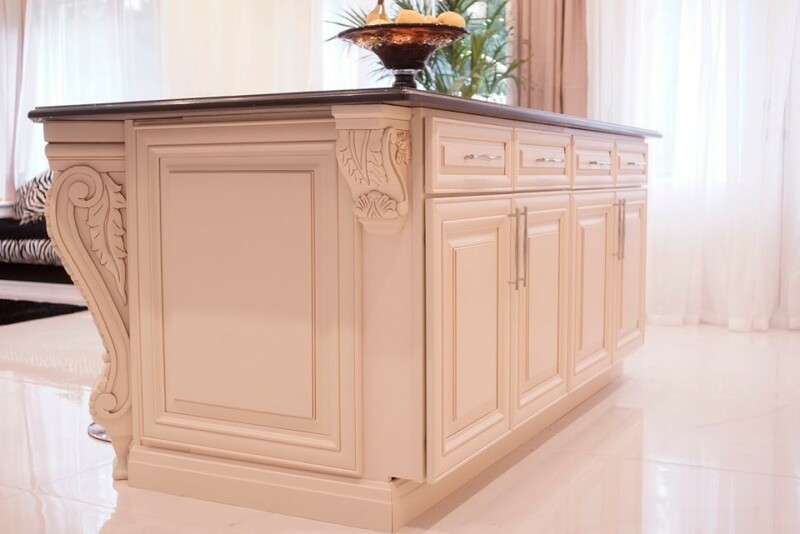 This kitchen cabinet style can feature legs on islands, feet or crown molding and even a paneled hood. 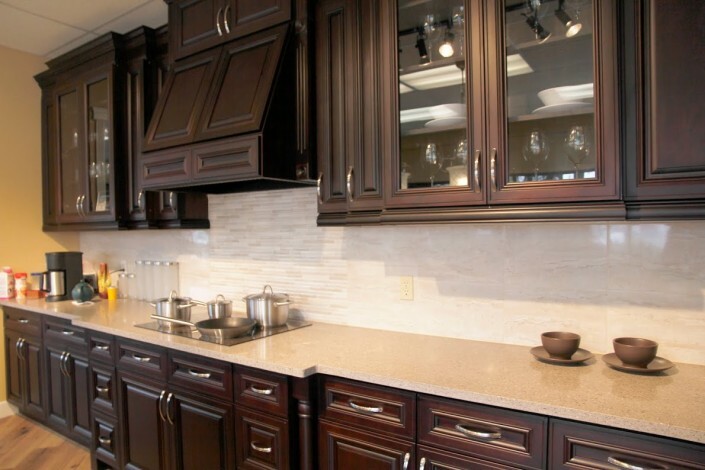 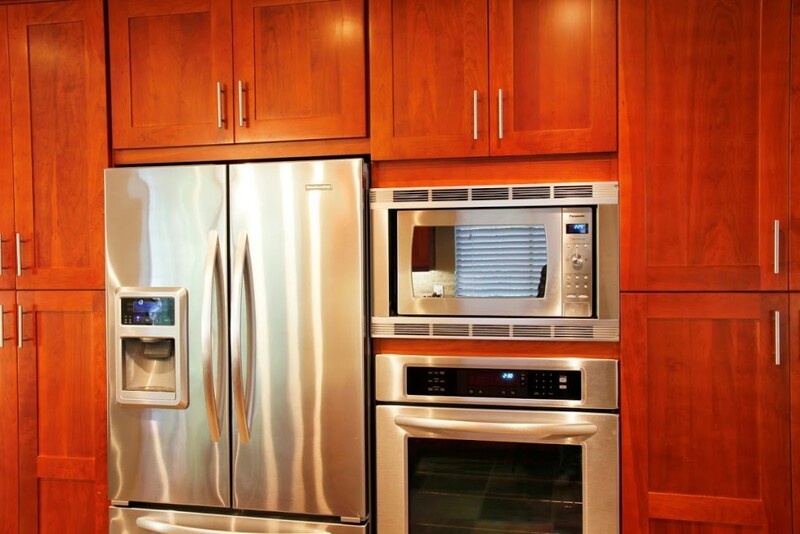 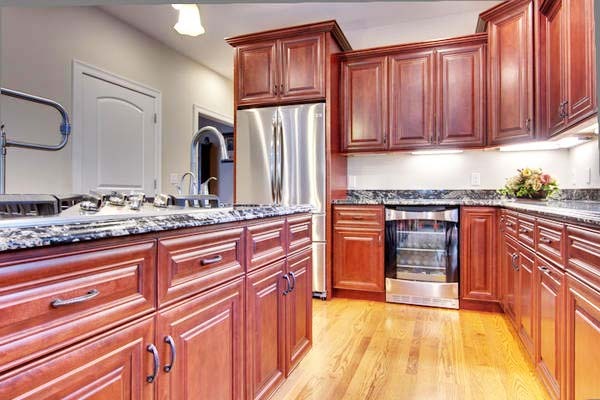 Another aspect that characterizes this look is the type of cabinet door – There aren’t a lot of the raised panel doors or flat-panel doors typically seen in modern kitchens. 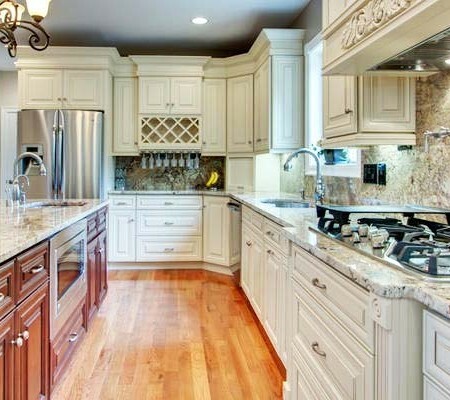 Classic kitchens don’t have to be all white. 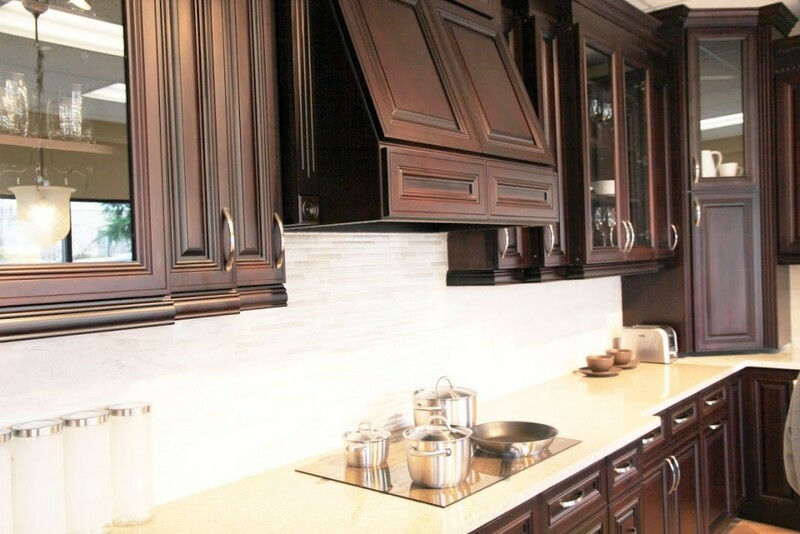 This kitchen cabinets combines stained and painted cabinetry and the simple door style keeps it from being too traditional. 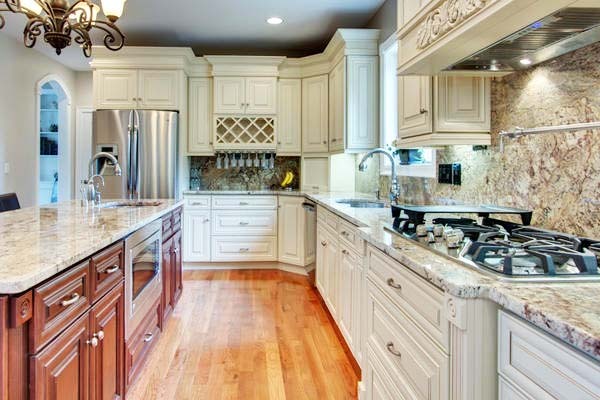 Here, walnut kitchen cabinets, white marble and the traditional style of door provide all the elements of a classic kitchen. 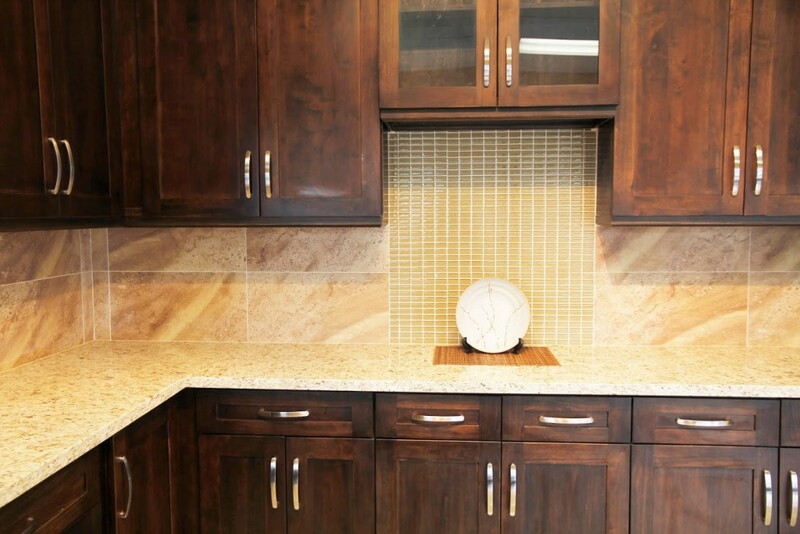 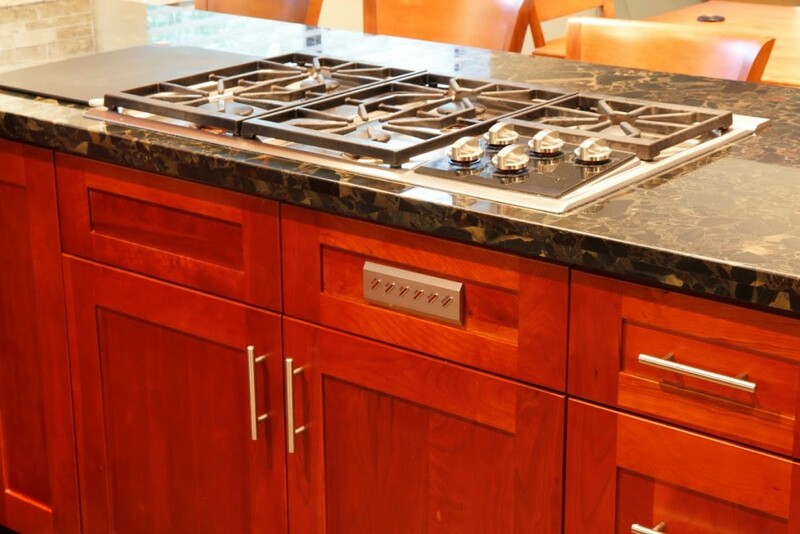 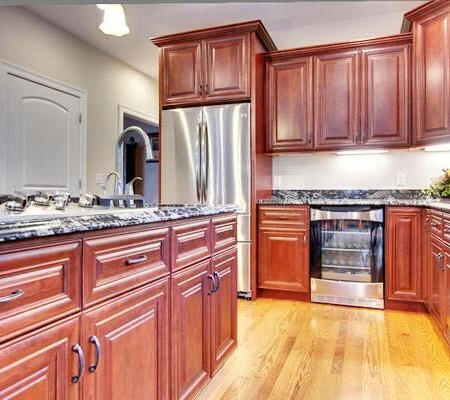 True Shaker cabinetry could appear to be quite plain because of the frame and panel profile. 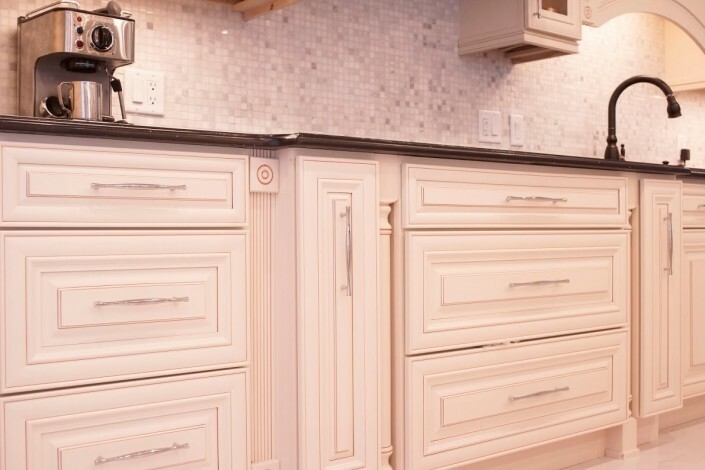 Repetition was key to the Shaker craftsman. Built-in kitchen cabinets and drawers create a clean, orderly look. 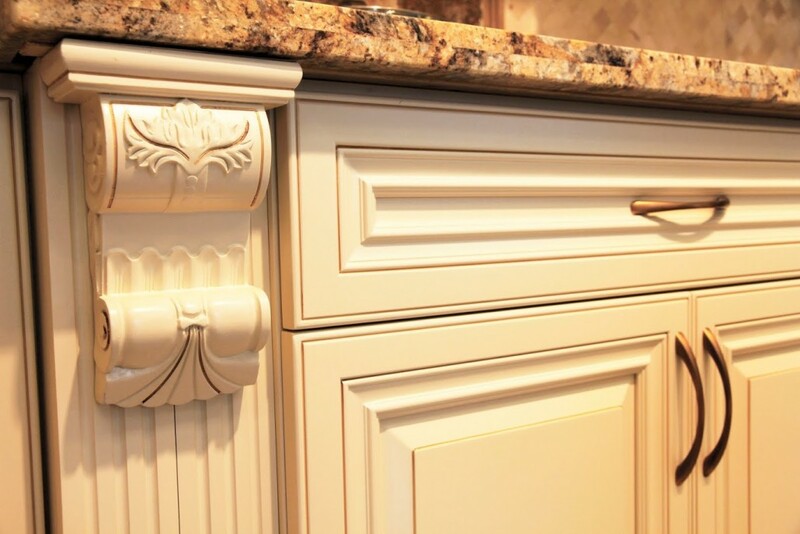 The Shaker profile tends to be in the mid-price range as there is no additional molding, but it does require more work. 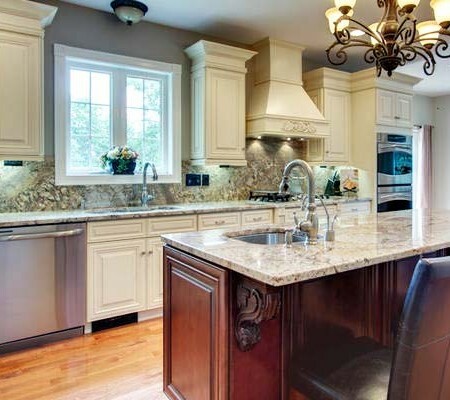 Crisp, clean white kitchens with gleaming marble counters and backsplashes are everywhere you look these days. 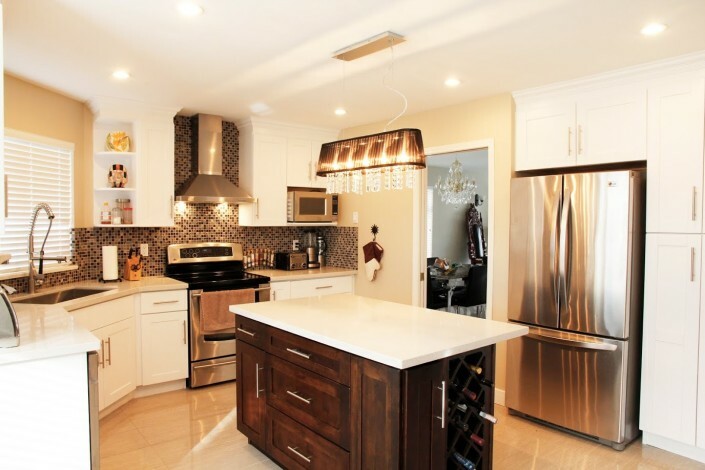 White makes a space look bigger and airier, and will enhance other design elements. 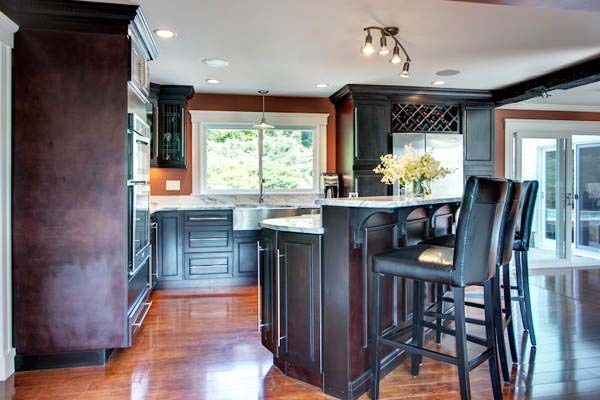 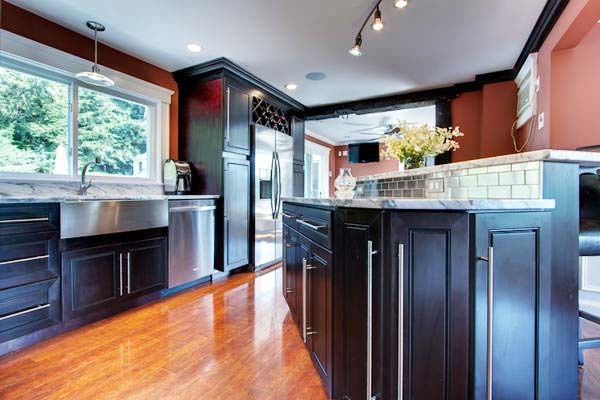 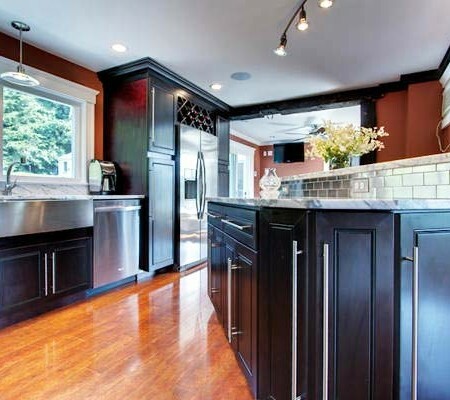 One of the best things about a classic kitchen is that its design is flexible. 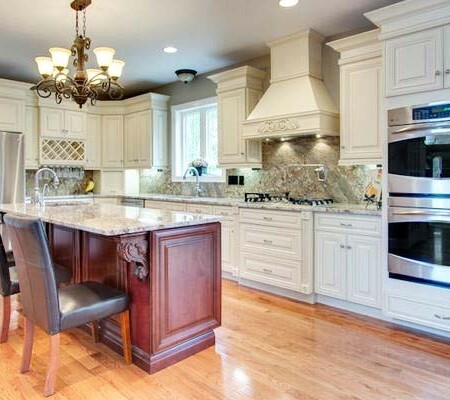 With a few ornate chars, lighting or wood panels you can change the style to give it a more traditional feel. 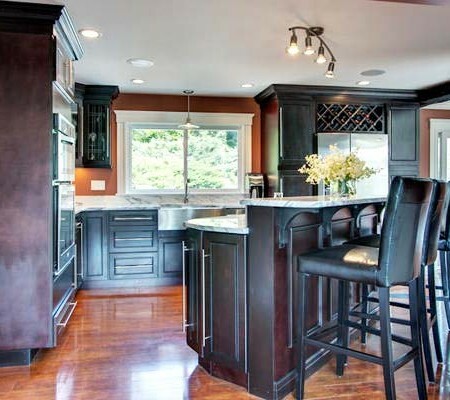 If you want to go in the other direction, you can add a few modern barstools and incorporate some bright colors to make your kitchen truly unique. 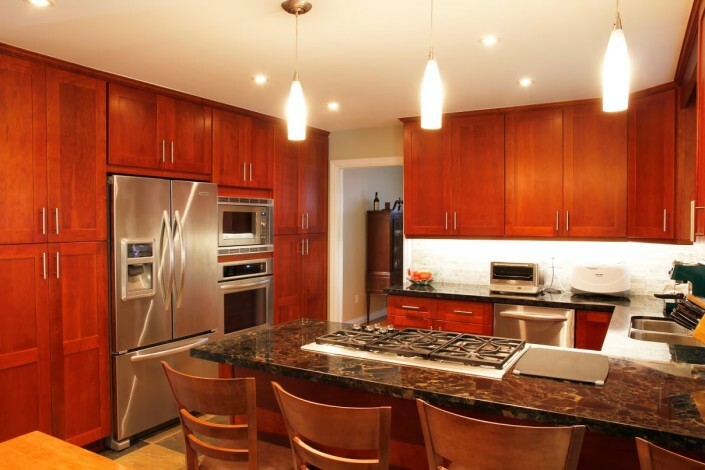 A wider Shaker door style, flat-stock crown and absence of a footed detail to the cabinets turns this kitchen into a much more contemporary space. We are pleased to help you schedule your visit to the KSI Kitchen Solutions! 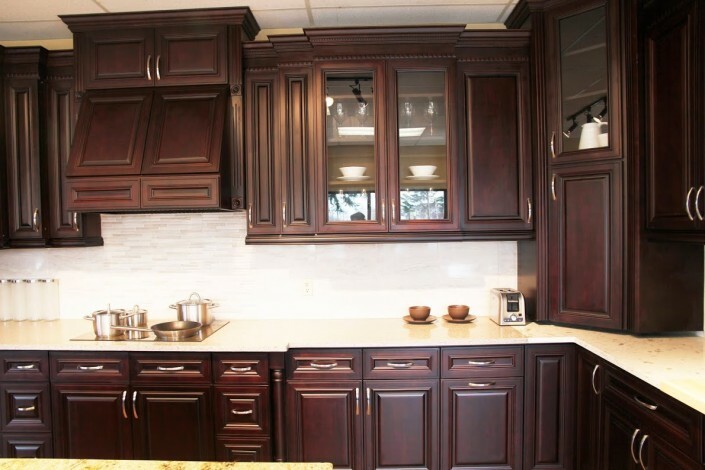 Please ask your questions, and we will respond within one business day to schedule the most convenient date and time for your appointment. 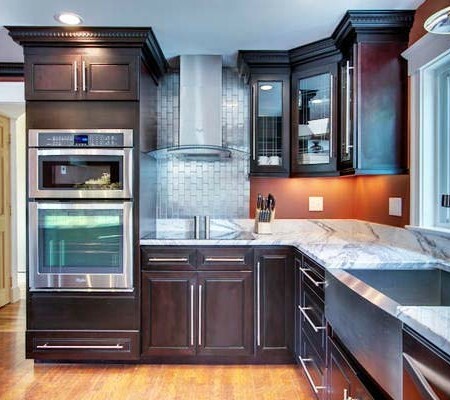 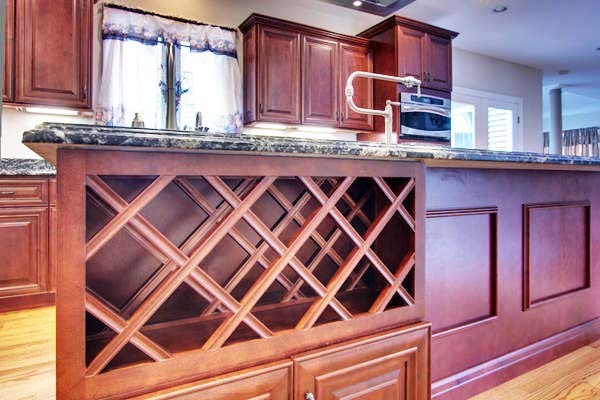 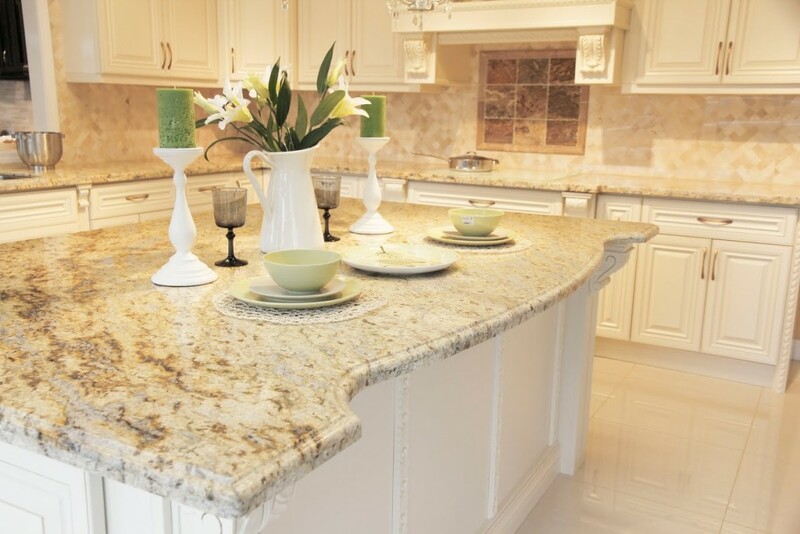 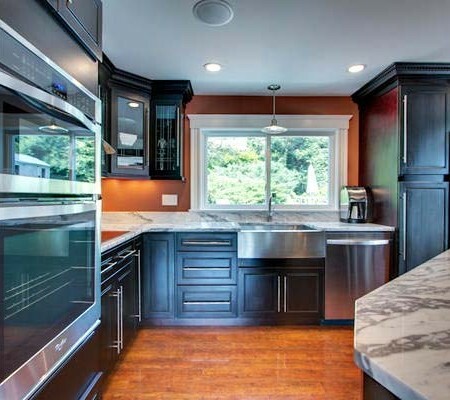 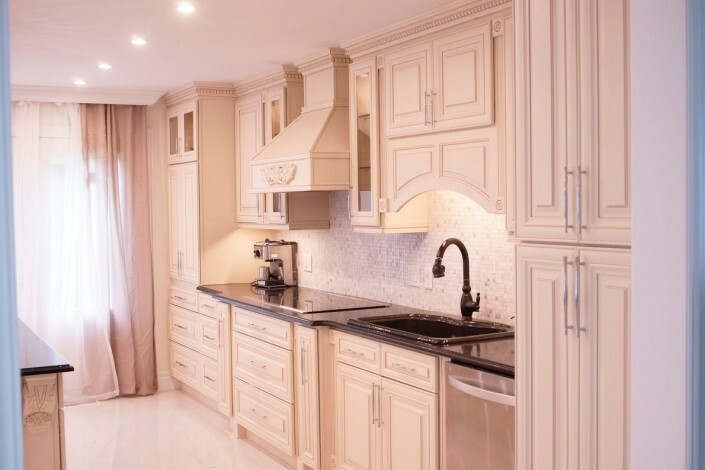 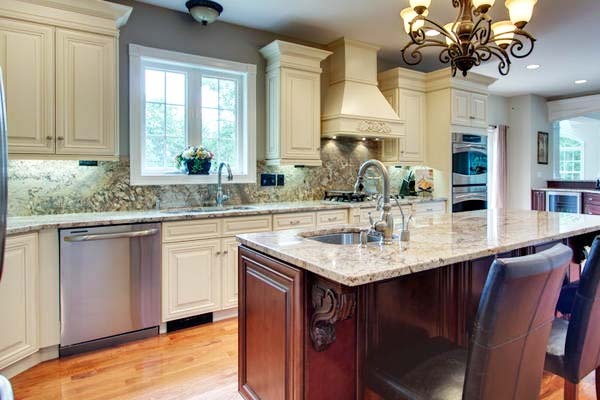 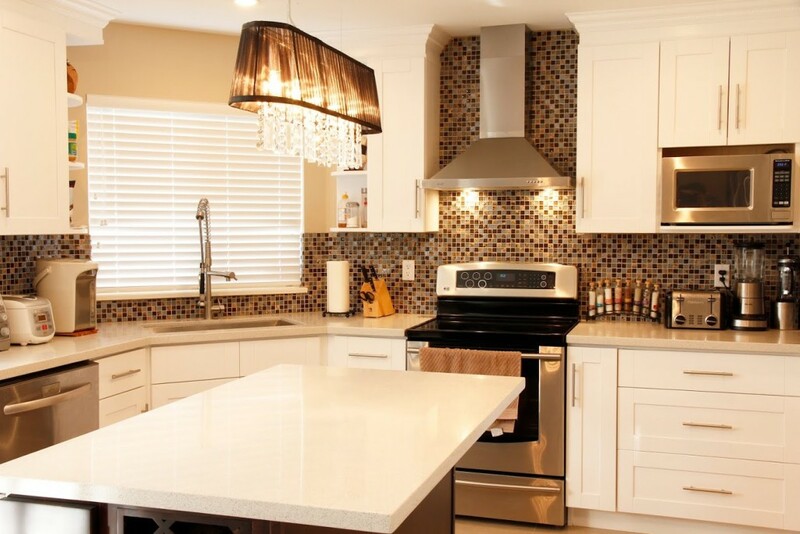 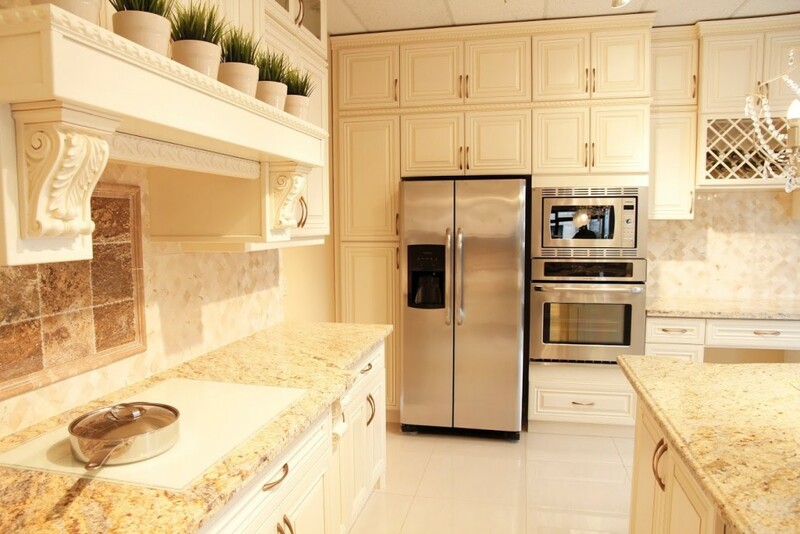 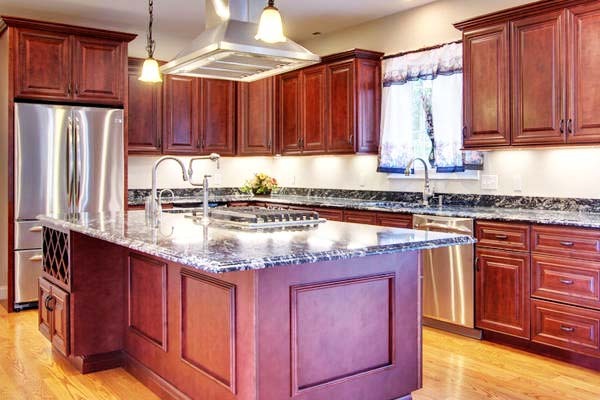 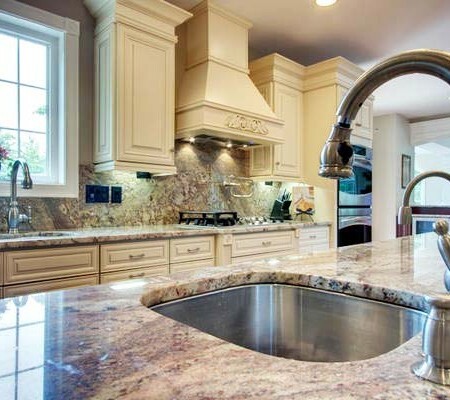 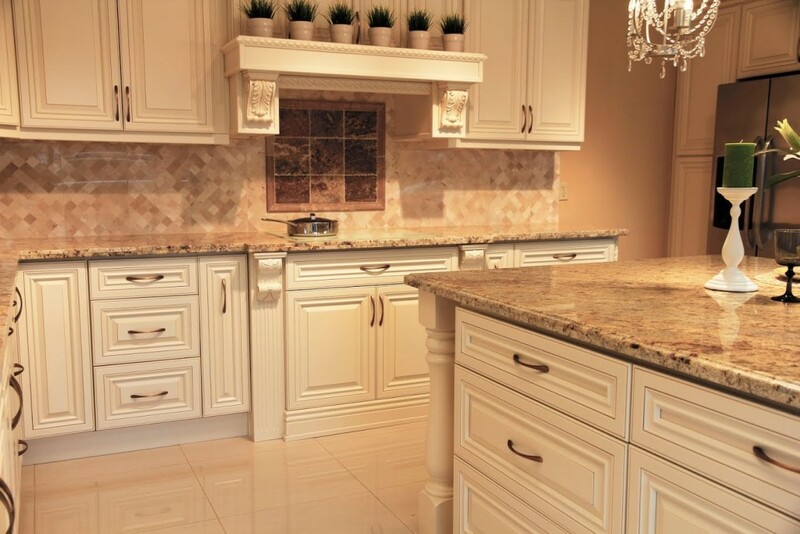 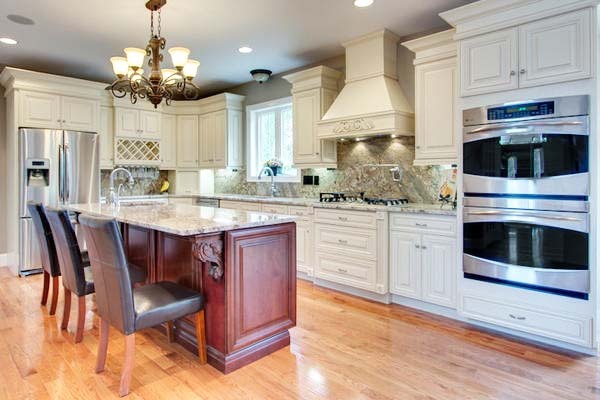 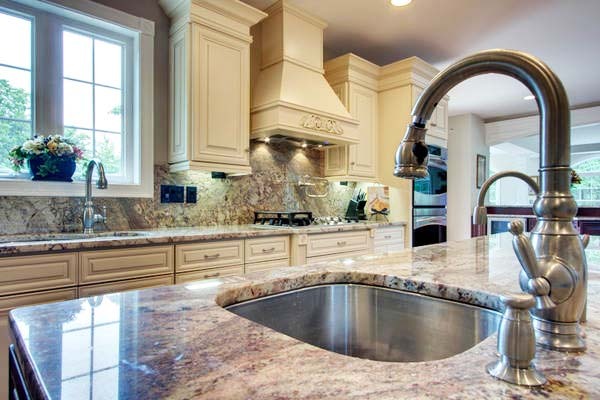 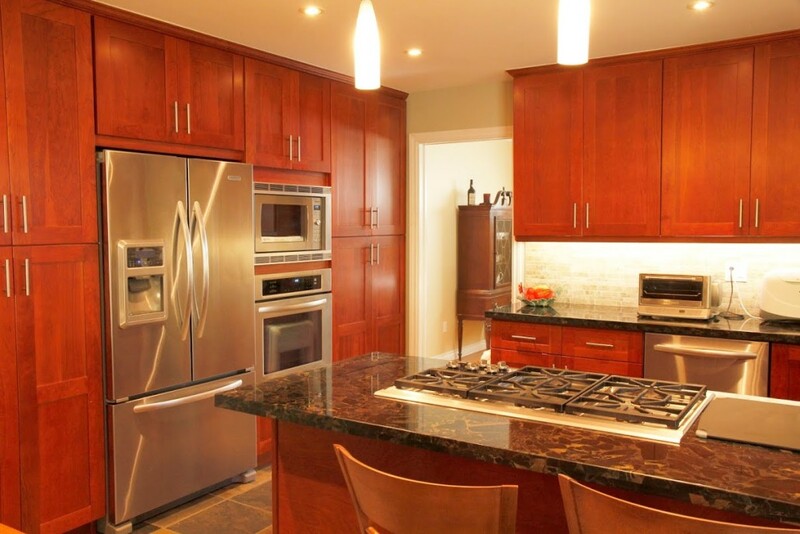 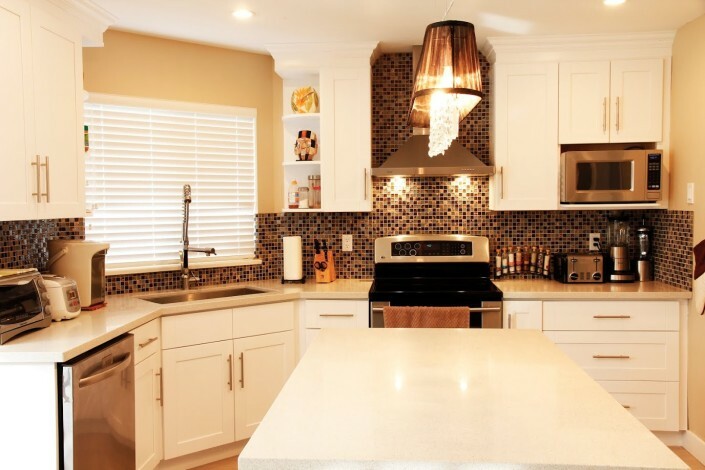 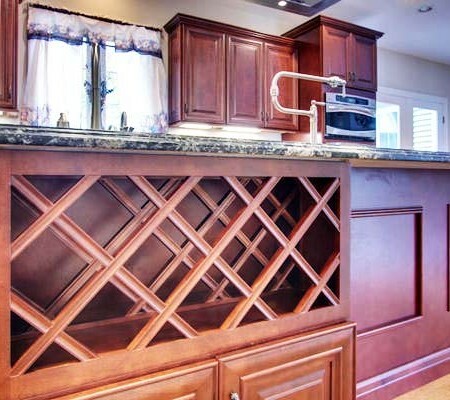 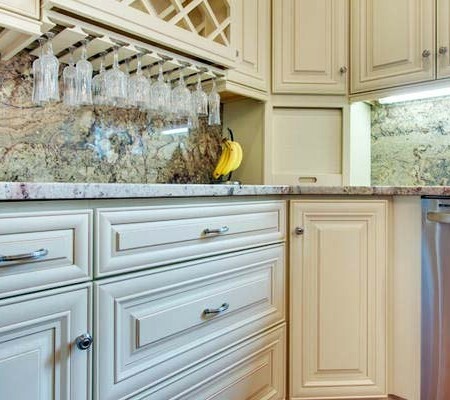 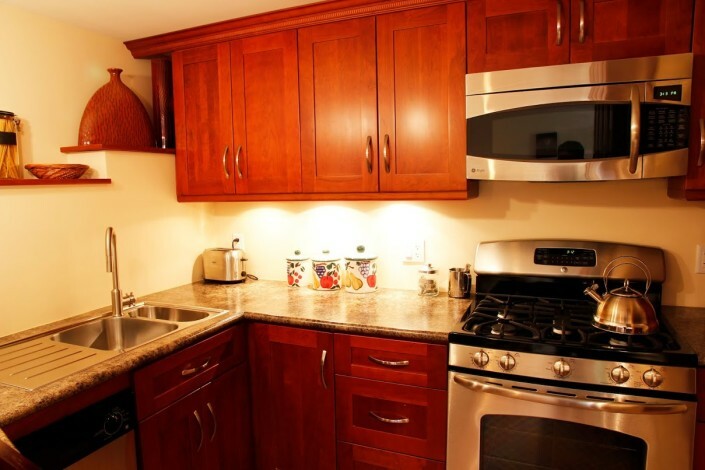 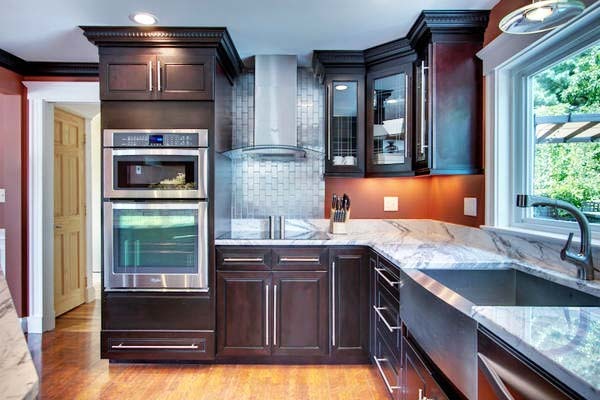 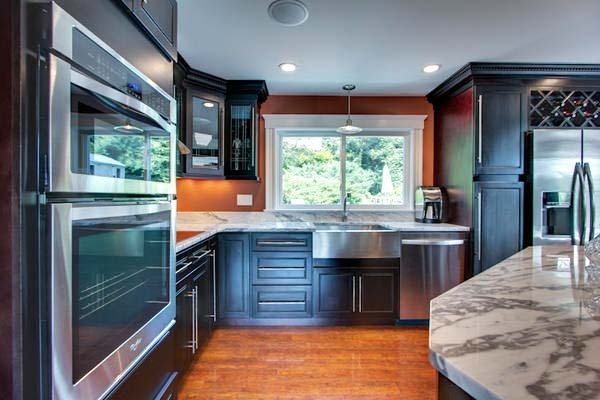 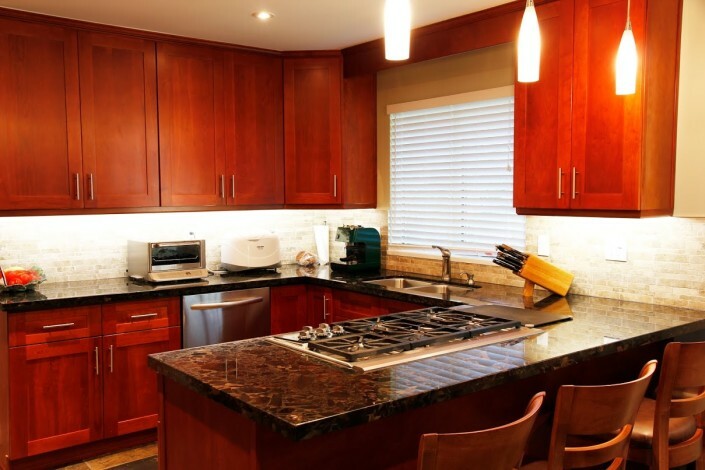 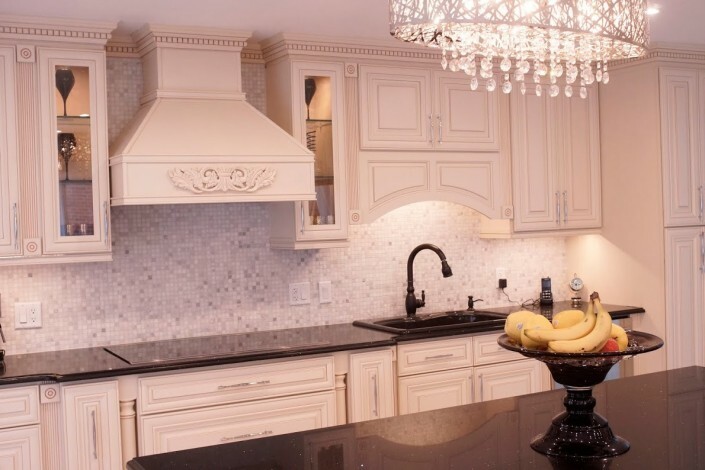 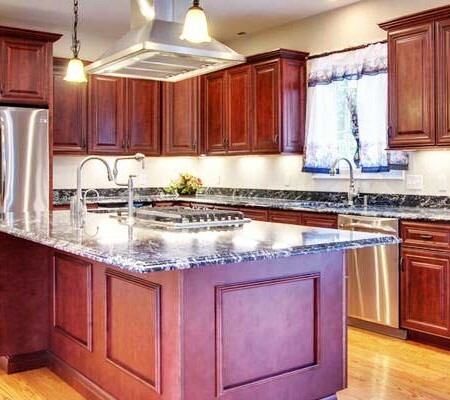 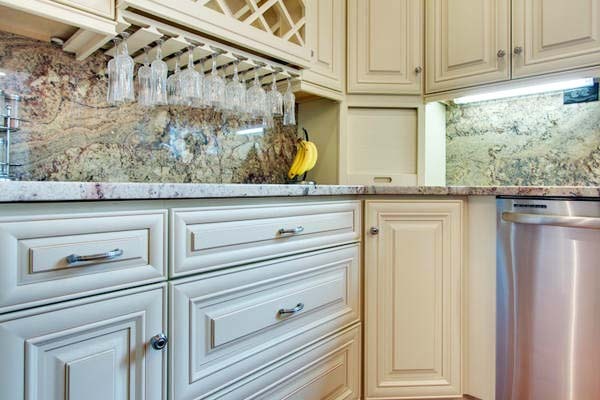 KSI Kitchen Solutions is located in Montreal and proudly provide Kitchen Cabinets, Kitchen Countertops and Kitchen Accessories in Montréal, Brossard, Laval, West Island, Dorval, Saint Laurent, Beaconsfield, Pierrefonds, Dollard-des-Ormeaux and Pointe Claire.